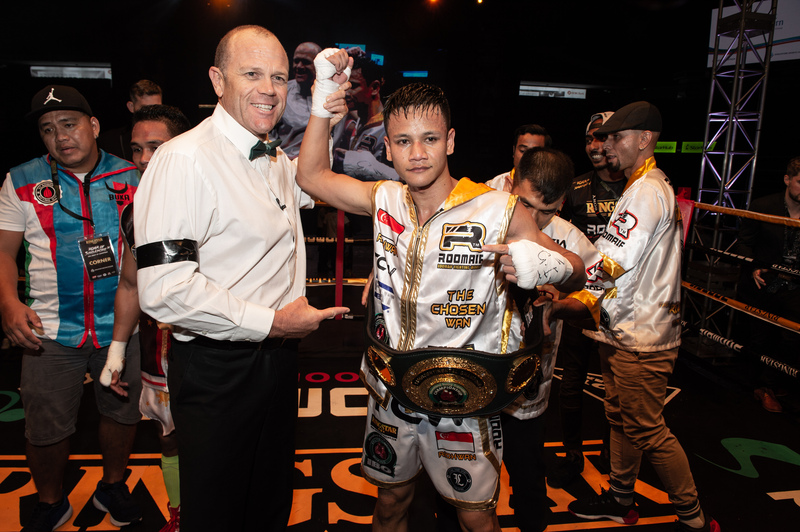 Among the top fighters of Ringstar Boxing is reigning International Boxing Organization Intercontinental Featherweight Champion Muhamad “The Chosen Wan” Ridhwan, 30, of Singapore. For retired boxer Glenn “Gentleman” McCrory, 53, of England the undefeated Singaporean boxer can follow the footsteps of boxing legend Manny “Pac-Man” Pacquiao, 39, of the Philippines. McCrory is a former International Boxing Federation Cruiserweight World Champion. For him, Ridhwan is a good boxer with a complete fighting style. With a professional boxing record of 60 wins, 7 losses and 2 draws, Pacquiao has yet to retire from the sport. On the other hand, McCrory competed from to 1993 and made a record of 30 wins, 8 losses and 1 draw. Ridhwan holds a professional boxing record of 11 wins and 0 loss, which he will put on the line on September 29, 2018. He will compete for the IBO World Super Bantamweight title at “Roar of Singapore V: The Kings of Lion City” at Marina Bay Sands in Singapore against Paulus “The Rock” Ambunda, 38, of Namibia. Ambunda has 26 wins and 2 losses. He is a former World Boxing Organization world champion and was a two-time IBO World champion. Among the “Roar of Singapore V: The Kings of Lion City” sponsors and partners are NTUC Fairprice, Marina Bay Sands, Nutrifirst, Cobra Energy Drink and Roomaif. Ringstar Boxing’s broadcast partners include FIGHT SPORTS, ESPN TV5 Philippines, MediaCorp Okto, Astro Malaysia and FTA channel for delayed broadcast.